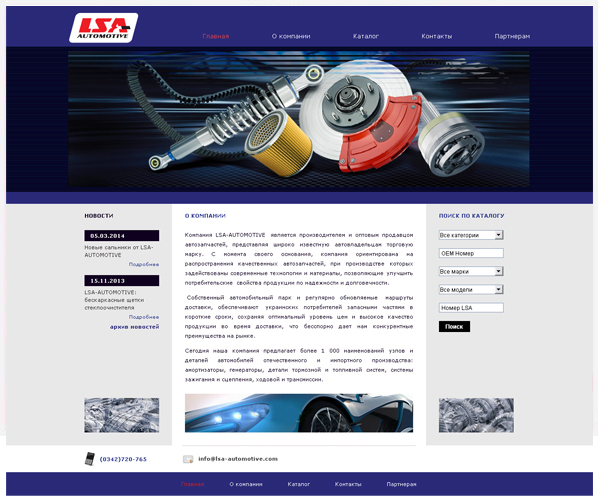 The company LSA-AUTOMOTIVE is a manufacturer and wholesaler of auto parts. 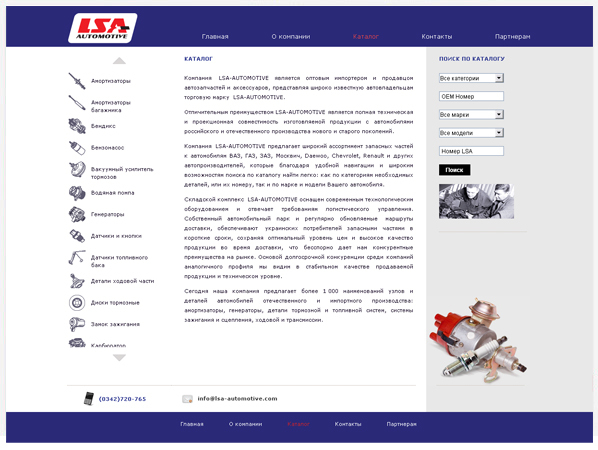 The production involves modern technologies and materials that improve the consumer properties of products for reliability and durability. 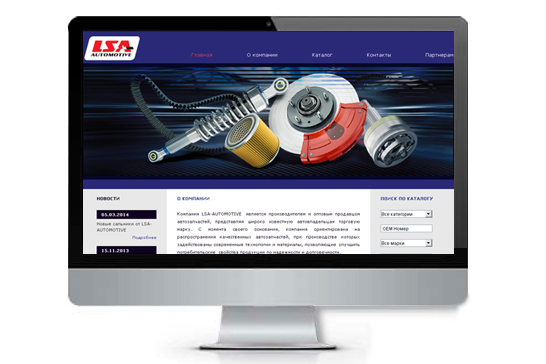 For LSA, packaging and a website have been developed.